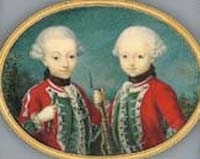 Carlo Emanuele III di Savoia, Re di Sardegna was born on 27 April 1701 at Turin, ItalyG. He was the son of Vittorio Amedeo II di Savoia, Re di Sicilia e Sardegna and Anne Marie d'Orléans.1 He married, firstly, Anne Christine Luise Gräfin von Sulzbach, daughter of Theodore Pfalzgraf von Sulzbach and Marie Eleonore von Hessen-Rheinfels, on 15 March 1722 at VercelliG. He married, secondly, Polyxena Landgräfin von Hessen-Rheinfels-Rottenburg, daughter of Ernst Leopold Landgraf von Hessen-Rheinfels-Rottenburg, on 23 July 1724 at ThonanG. He married, thirdly, Elizabeth Therese de Lorraine, daughter of Léopold Joseph Charles, Duc de Lorraine and Elisabeth Charlotte d'Orléans, on 1 April 1737. He died on 20 February 1773 at age 71 at Turin, ItalyG. 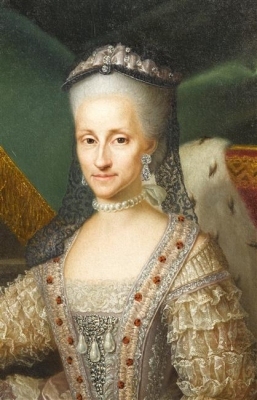 Anne Christine Luise Gräfin von Sulzbach was born on 5 February 1704. She was the daughter of Theodore Pfalzgraf von Sulzbach and Marie Eleonore von Hessen-Rheinfels.1 She married Carlo Emanuele III di Savoia, Re di Sardegna, son of Vittorio Amedeo II di Savoia, Re di Sicilia e Sardegna and Anne Marie d'Orléans, on 15 March 1722 at VercelliG. She died on 12 March 1723 at age 19 at Turin, ItalyG. She gained the title of Gräfin von Sulzbach. Polyxena Landgräfin von Hessen-Rheinfels-Rottenburg was born on 21 September 1706. She was the daughter of Ernst Leopold Landgraf von Hessen-Rheinfels-Rottenburg.1 She married Carlo Emanuele III di Savoia, Re di Sardegna, son of Vittorio Amedeo II di Savoia, Re di Sicilia e Sardegna and Anne Marie d'Orléans, on 23 July 1724 at ThonanG. She died on 13 January 1735 at age 28 at Turin, ItalyG. She gained the title of Landgräfin von Hessen-Rheinfels-Rottenburg. Elizabeth Therese de Lorraine was born on 15 October 1711 at Lunéville, Lorraine, FranceG. 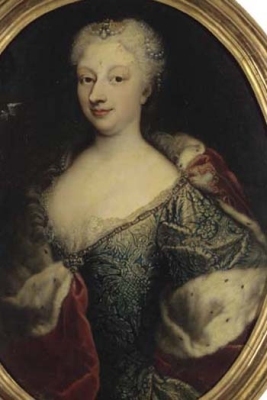 She was the daughter of Léopold Joseph Charles, Duc de Lorraine and Elisabeth Charlotte d'Orléans.1 She married Carlo Emanuele III di Savoia, Re di Sardegna, son of Vittorio Amedeo II di Savoia, Re di Sicilia e Sardegna and Anne Marie d'Orléans, on 1 April 1737. She died on 3 July 1741 at age 29 at Turin, ItalyG. Maurizio di Savoia, Duc de Chablais was born on 21 June 1741 at Turin, ItalyG. He was the son of Carlo Emanuele III di Savoia, Re di Sardegna and Elizabeth Therese de Lorraine.1 He married Maria Anna di Savoia, Principessa di Savoia, daughter of Vittorio Amadeo III di Savoia, Re di Sardegna and Maria Antonietta Ferdinanda de Borbón, Infanta de España, on 19 March 1775 at Turin, ItalyG. He died on 4 January 1808 at age 66 at Rome, ItalyG. Maria Antonietta Ferdinanda de Borbón, Infanta de España was born on 17 November 1729 at Seville, SpainG. She was the daughter of Felipe V de Borbón, Rey de España and Isabella Elizabeth Farnese.3 She married Vittorio Amadeo III di Savoia, Re di Sardegna, son of Carlo Emanuele III di Savoia, Re di Sardegna and Polyxena Landgräfin von Hessen-Rheinfels-Rottenburg, on 31 May 1750 at Oulx, ItalyG. She died on 19 September 1785 at age 55. Giuseppe di Savoia, Duc d'Aoste was born on 5 October 1766 at Turin, ItalyG. He was the son of Vittorio Amadeo III di Savoia, Re di Sardegna and Maria Antonietta Ferdinanda de Borbón, Infanta de España.1 He died on 29 October 1802 at age 36 at Sassari, Sardinia, ItalyG. 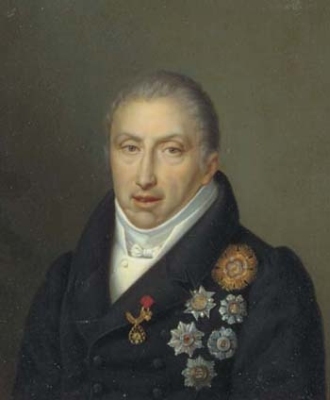 Carlo Felice di Savoia, Re di Sardegna was born on 6 April 1765 at Turin, ItalyG. He was the son of Vittorio Amadeo III di Savoia, Re di Sardegna and Maria Antonietta Ferdinanda de Borbón, Infanta de España.1 He married Maria Cristina Amelia Teresa di Borbone, Principessa delle Due Sicilie, daughter of Ferdinando I di Borbone, Re delle Due Sicilie and Marie Caroline Erzherzogin von Österreich, on 6 April 1807 at Turin, ItalyG. He died on 27 April 1831 at age 66 at Turin, ItalyG. Maria Cristina Amelia Teresa di Borbone, Principessa delle Due Sicilie was born on 17 January 1779. She was the daughter of Ferdinando I di Borbone, Re delle Due Sicilie and Marie Caroline Erzherzogin von Österreich.1 She married Carlo Felice di Savoia, Re di Sardegna, son of Vittorio Amadeo III di Savoia, Re di Sardegna and Maria Antonietta Ferdinanda de Borbón, Infanta de España, on 6 April 1807 at Turin, ItalyG. She died on 11 March 1849 at age 70 at SavonaG. She was buried.